Periodontal gum disease is inflammation of the gum tissue that can progress and eventually affect the gum tissue and bone that support the teeth. There are three stages of gum disease: gingivitis, periodontitis and advanced periodontitis. If your dentist tells you that you have periodontal gum disease do not fret, you are most certainly not alone. In fact, it has been estimated that a whopping 80 percent of American adults have some form of periodontal gum disease! The scope of periodontal gum disease is very wide and can range from simple inflammation of the gum tissue to more advanced cases where the disease affects the soft tissue and the bone that supports the teeth, resulting in tooth loss. Periodontal gum disease is a real threat and should be taken very seriously, as the disease can become a severe threat to your overall health. If you have been told by your dentist that you have periodontal gum disease the good news is that if caught early enough the effects of the disease can be reversed. Whether or not these effects can be stopped, slowed or even reversed depends largely on how well you care for your gums and teeth. How is periodontal gum disease caused? Periodontal gum disease is the result of tartar or calculus buildup on the teeth and gum line. Our mouths are home to an abundance of bacteria, some good and some bad. When we brush and floss we remove the bad bacteria from our mouth. If bacteria and food particles are not removed, they can wreak havoc on your health by way of developing a clear sticky substance called plaque. Plaque cannot be removed by brushing and flossing, only professional cleanings remove plaque. Plaque that is not removed eventually hardens and turns to tartar. That being said, regular brushing and flossing (after every meal) is critical to preventing the development of harmful tartar. There are a few proven risk factors that increase your likelihood of developing periodontal gum disease. So, if you wish to protect your oral health you should take care practice the proper oral hygiene and care. 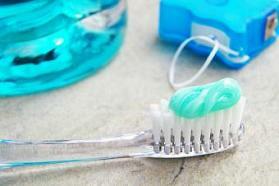 Here are some things that can increase your likelihood of developing periodontal gum disease. Hormonal changes like those that occur when a woman is pregnant or during puberty make the gum tissue more sensitive thus making it easier for gingivitis to develop. Smoking is said to be one of the most significant contributing factors associated with periodontal gum disease. Smoking does not only lead to the development of periodontal gum disease, but it can also prevent some treatments from working. Those individuals who suffer with diabetes are at an increased risk for developing infections, this includes periodontal gum disease. Some medications (like antidepressants and some heart drugs) can contribute to the onset of periodontal gum disease because they can lessen the amount of saliva in the mouth. It has been proven that stress impairs our body’s ability to ward off infections, this includes periodontal disease. Diseases like AIDS and cancer (as well as their treatments) have been known to affect gum health. Unfortunately, some people are inherently more prone to developing periodontal disease than others.